While there is an abundance of options for high-quality protective pads that can be used by any cricketer, New Balance batting legguards are some of the best. Many of you will most probably know New Balance for their footwear, but they have also gained reputation in the cricket community because of their products that can be used in the sport. Their legguards can offer comfort and protection, making them stand out over many others within the competition. Need a good reason to be convinced that their batting pads are amongst the best? One of the compelling reasons is the fact that it is endorsed by some of the best names in the sport. Their batting pads are endorsed by the likes of Ben Gary Ballance, Joe Root, Steve Smith, and Ben Stokes, among others. If these great players trust the quality of batting pads from New Balance, why won’t you? All of the batting legguards from New Balance are made using high-quality polyurethane front, which is imported from China. The latter is an excellent choice of material because it is not only lightweight, but it is also durable. Regardless of the intensity of the game or frequency of use, you can expect that even through the years, it will retain its tip-top condition. The 7-bar modern construction is another thing that you can commonly find in the New Balance batting legguards. The latter is basically the one responsible for making sure that it will have a snug fit in its proper position. Regardless of the swift movements that you will make in every game, the legguard will remain stable. Best of all, while it hugs tightly, it won’t cause discomfort. Even the straps have foam padding so that they will feel smooth as they touch the skin. 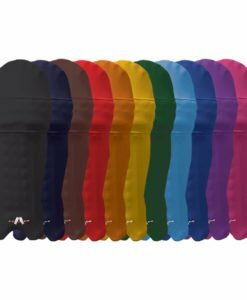 There are also bolsters that are located in key positions, which will increase the protection and comfort that the legguards can provide. For instance, there are horizontal and vertical bolsters. There is also a knee bolster. They are made from a combination of soft foam, polyurethane, and mesh. You can expect not only superior cushioning and shock absorption, but also excellent breathability. For the best legguards, you have to pay attention to the right size. The measurement should be taken from the middle of the knee cap all the way to the top of the foot. Make sure that the batting pads will have the right fit to optimize the comfort and protection that they can deliver. Are you looking for the best New Balance batting legguards? Have a quick look at our online store today. We have a diverse selection of pads and other cricket equipment not only from New Balance, but from other popular brands as well. We take pride over the fact that we have experts who handpick the products we are selling, and hence, you can be sure that the quality will be unrivalled. To top it all, these products are sold at discounted prices that won’t surely hurt your pocket.